September 17, 2015 Gary Gamblemovies, NEWS, upcoming releases to watch out for . I had no idea that this film even existed. 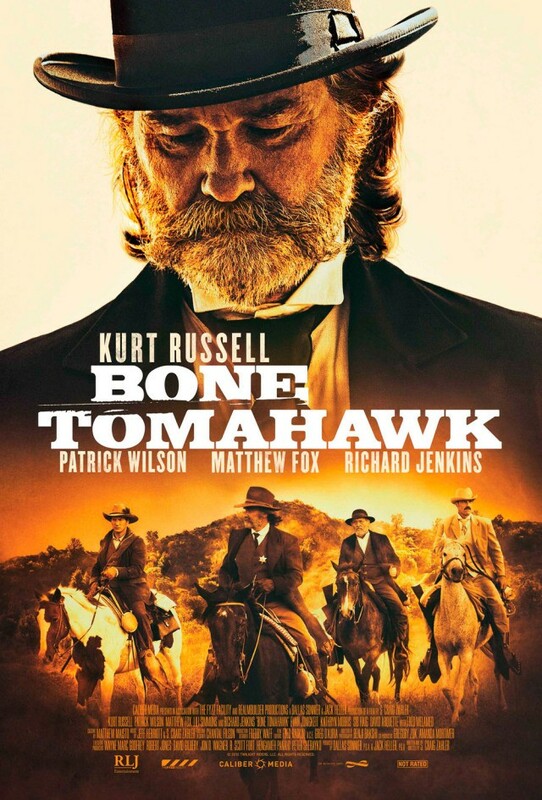 Bone Tomahawk is a new western/horror about a group of cowboys who go to rescue some people from a group of cave dwelling cannibals. The film stars Kurt Russell, Matthew Fox, Patrick Wilson, Richard Jenkins, David Arquette, and Lili Simmons and is listed for U.K release this October. This will be one of my Halloween musts of this year. You can’t go wrong with Kurt Russell battling cannibals, sounds like one of the best plots I have ever heard of.